The Winkler Belt Knife with a sculptured black micarta handle is, like all Winkler knives, a tough working tool and a beautiful piece of art. Daniel Winkler, since 1988, has created knives that are "American Made, Field Tested", inspired by our nation's frontier period when a man's knife might mean sustenance and survival. 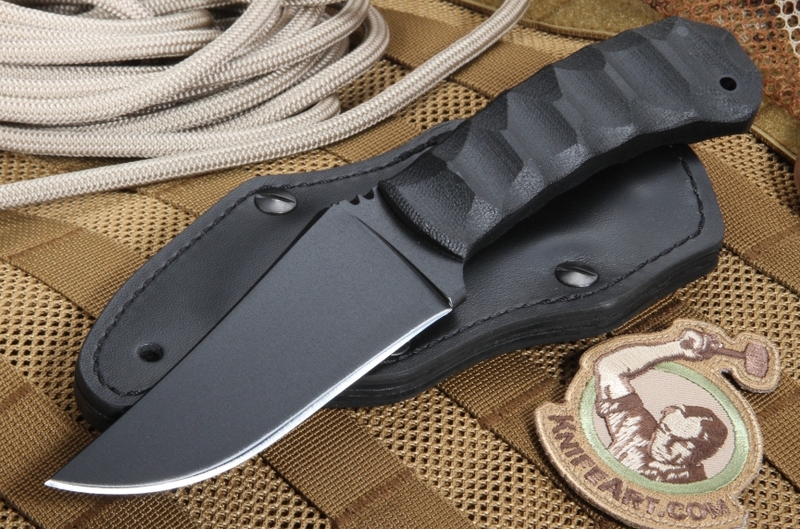 Since 2006, Winkler has provided knives for the United States elite Military Special Operations Teams. Winkler belt knives are versatile, tactical fixed-blade knives. The 80CRV2 Carbon Steel blade on this Winkler belt knife is 4.5 inches in length and extends into a full tapered tang. This tough steel is great for both grinding and forging. This creates a razor-sharp blade with superior toughness that will quickly, cleanly and accurately slice through fibrous materials. The knife blade has a black KG coating. This coating, used on both guns and knives, is very durable and provides some protection from abrasion and weathering. It also reduces visibility for operations at any time of day. 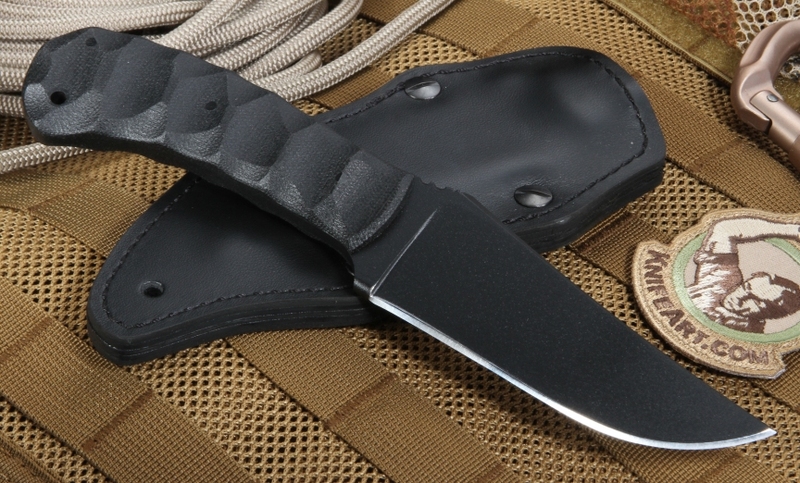 This fixed-blade belt knife has a sculpted 4.5-inch handle made of black micarta. The sculpted handle provides an exceptionally comfortable and very effective grip. The grip is also enhanced by a thumb rest on the spine. 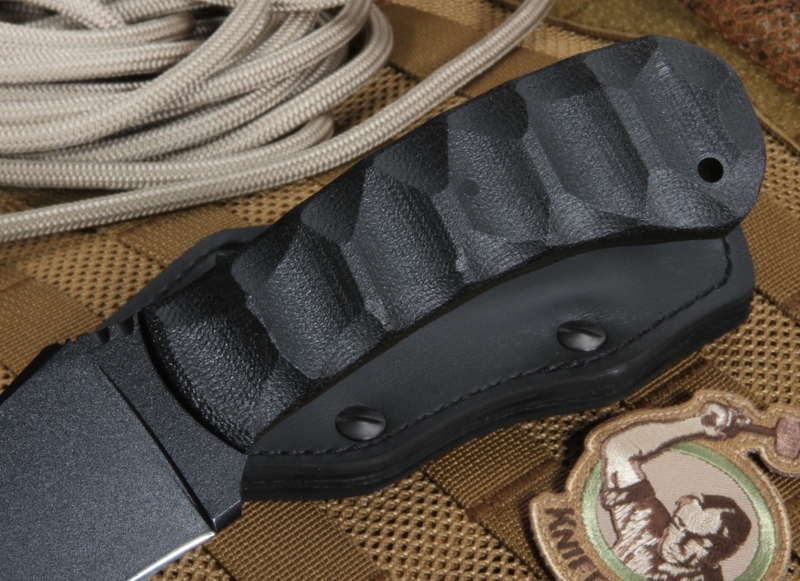 The handle material is an extremely durable substance created from laminated micarta. This material is shaped and sculpted to create a comfortable but tremendously strong handle. At 6.7 ounces, this custom belt knife is surprisingly light for its size, making it easier to wield. The Winkler Belt Knife is an exceptional and versatile tool, razor-sharp and very tough. 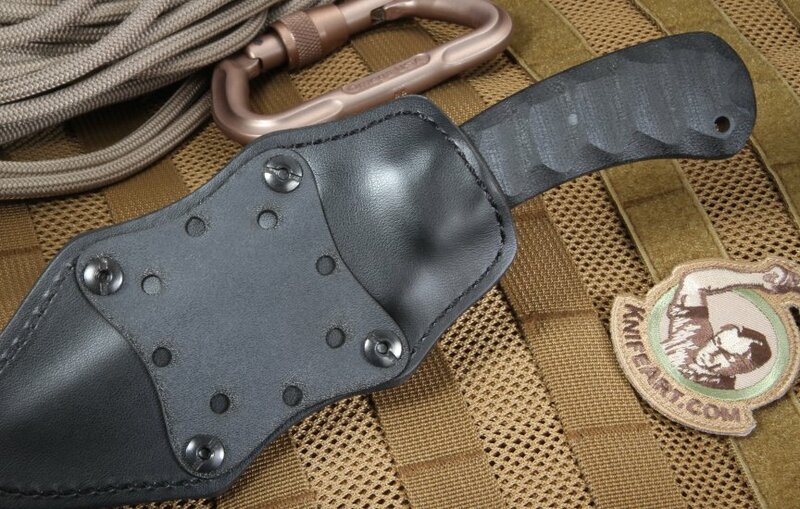 The Kydex-lined leather sheath and the lanyard hole in the handle provide a choice in how you choose to carry it, and the sheath can be mounted vertically or horizontally. Like all of Daniel Winkler's knives, this is both a beautiful and a functional example of the knifemaker's art. Each custom knife made in Winkler's North Carolina shop infused with Warrior spirit both past and present. KnifeArt is an authorized dealer of the Winkler Belt Knife with KG Finish and other Daniel Winkler II knives. We offer free shipping anywhere in the U.S. with a next-day FedEx option if you need it fast. You'll also receive a satisfaction guarantee and prompt responses to any questions by phone or email. The knife I ordered was exactly as it was represented. Sturdy, sharp, and high quality. I looked long and hard for not one but two of these beauties. I found one here at Knife Art and snapped it up. It's a great knife -- good looking, solid in construction and feel. The black finish and sculpted black Micarta handle is a great fit in the hand. I'm really looking forward to giving this one to my pal for his birthday. The other identical one I bought -- unfortunately elsewhere -- but hey, what are you gonna do if you want the knife? I recommend viewing the YouTube videos of Winkler out there. He's a neat guy and his process is documented which is fun to watch. 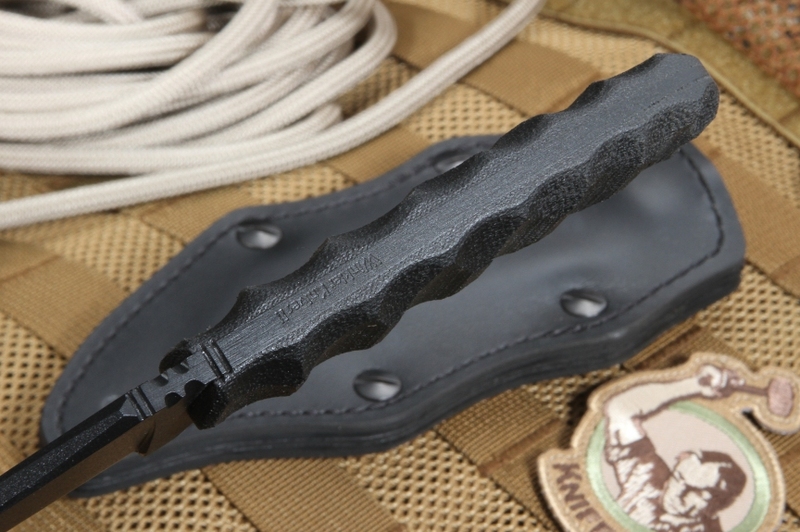 Also, the sheath is really cool and not to be forgotten in any review. A solid package overall -- knife and sheath -- and WELL WORTH IT OVERALL. A GREAT VALUE! Get one if you can. Firstly I would just like to say thank you to Knifeart, fantastic service, second to none. Ordered the Belt knife on the recommendation of a friend, and after receiving the knife I have to agree with him. Great knife, finely balanced, great in the hand. makes easy of work of the tasks I use it for. Mr Winkler I salute your craftsmanship. Feels well-built, durable. Very nice looking, light-weight in the hand but also very sturdy feeling.